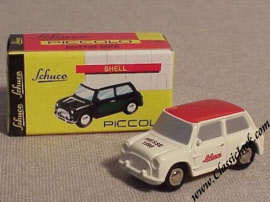 Schuco Piccolo Austin Mini Cooper Nuremberg Messe 1998. 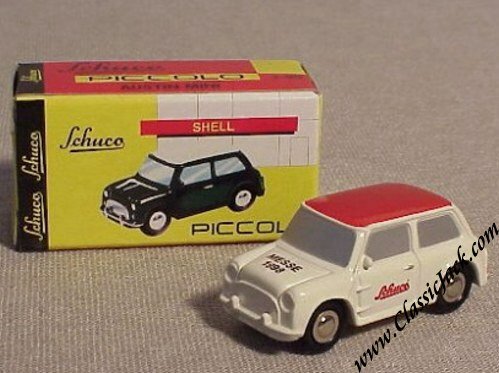 Issued in February 1998, it was the present for "Friends of the House" at the Nuremberg Toy Fair 1998. It was limited to 2,000 pcs and a rare find. It carries a red Schuco-logo print on the doors and a black "Messe 1998" print on the hood.